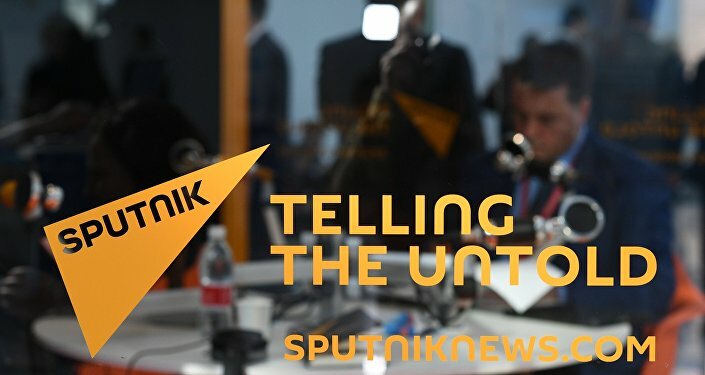 MOSCOW (Sputnik) - Russian media in Germany are being "persecuted" because their opponents do not have arguments to challenge their positions, Russian Ambassador to Berlin Sergei Nechayev told Sputnik, adding that proponents of such an approach were revealing who they really were. "All those involved in this, to put it mildly, ugly media campaign against Russian and Russian-language media, are exposing themselves. After all, the course for defamation is adopted when arguments finish. One can only regret that opinions that differ from those expressed by local mainstream media do not give rise to a professional debate, but become a target for dishonest attacks. It is much easier to accuse your opponent of propaganda and deny him the opportunity to freely deliver his opinion to the local public rather than to hold a professional, fact-based discussion on controversial issues," Nechayev said. "All we are striving for is providing our journalists with the opportunity to freely fulfill their professional duty in Germany, exactly the same way as many more numerous media representatives of Germany do in our country," Nechayev stressed. The comments come after on January 11, the German Federation of Journalists issued a statement calling on German regulators supervising media activities to not issue a broadcasting license for RT Deutsch, claiming that it was a "tool for Kremlin propaganda." The Russian Foreign Ministry has said that Russia is not ruling out the possibility of taking retaliatory measures against countries where Russian media have their rights violated. Russian officials have repeatedly stressed that Moscow does not meddle in other countries' affairs. They, in particular, emphasize that the Western states' policy toward Russian media reflected the fear of alternative coverage of global events and deterioration of the freedom of speech there.